Creation of a European type of museum was affected by a number of practices and concepts of collecting, storing and usage of items. Among them we recognize the treasury, war booty, collectors’ images of the world and power, scholarly collections, good investments, basis for establishing (national) identity. They precede the formation of a museum as a public institution of heritage that communicates with the audience and visitors, nurtures social memory, and supports a critical attitude toward the present. Although we can talk about this succession as a form of transformation, many of the historical models of collecting, using and preserving coincide even today in the museum world, and we can even recognize them within the history and development of a particular museum. Despite the change of paradigm, museums are still perceived among the general public, for which they primarily exist, as closed and “dusty” institutions, often remaining reduced to an image of an ancient temple as a signifier of their function as a “holy place”. It is not, however, a founding act, a building or a crowded storage room that constitute a museum, as it most certainly is not a warehouse of objects. Instead, it is formed around the functions of collecting, research, safeguarding, interpretation and representation, which define heritage as an active and meaningful relationship towards the past. Even though it may seem that these features apply only to objects, they may as well be applied to experiences and intangible heritage. It is primarily because of everything that lies behind the material, that an object is kept and studied in a museum, due to its inexhaustible potential to testify about contexts of its creation and use. It includes previous museological interpretations, political uses of heritage, but also various, often polyphonic interpretations of the past. 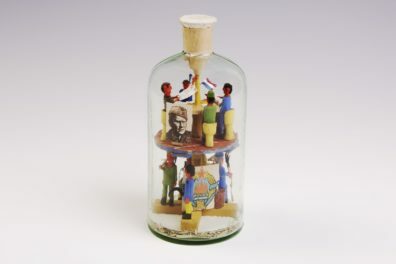 Items sheltered at the Museum of Yugoslavia become “talkative” due to the complex and rich strata of this institution, as well as their own journey through multiple national, political, social, museal and museological contexts. Today’s Museum of Yugoslavia was called the Museum of Yugoslav History (MYH) until the end of 2016. The name was changed twenty years after the MYH was founded¹ (1996) by merger of two institutions following which they ceased to exist as such: the Memorial Center “Josip Broz Tito” (MC)² and the Museum of the Revolution of Yugoslav Nations and Ethnic Minorities (MR). Due to the socio-historical circumstances that resulted in violent breakup and war between the states that once formed Yugoslavia during the 1990s, these museums became a burden, as witnesses of the unwanted past, traces of which were thoroughly erased from the present. It was a political decision that placed the collections of the two institutions under the same roof. Even though this musealization of Yugoslavia was supposed to “put it on the shelf” in accordance with the understanding of a museum as a storage place for “old and unnecessary things”, it turned out that the collections, histories, documentation and employees of these two institutions became the basis of a twenty years long search for ways of acknowledging Yugoslavia as a heritage. The Museum of Yugoslav History faced a peculiar situation from the very beginning of its work. Not only was the Belgrade Museum of the Revolution a central institution of its type³ in Yugoslavia, but it was established by the then current museological principles. This ordered, dynamic museum merged with an institution of memorial character, with a particular task of keeping alive the memory of Josip Broz Tito. Established several years prior, by the decision made at the formal session on the occasion of the 40th anniversary of the Communist Party of Yugoslavia, on April 19, 1959, the Museum of the Revolution 7 was significantly different in concept from the May 25 Museum. Its task was to research and represent the continuous “revolution in motion”: decades-long struggle of the working class, which had along the way matured enough to take responsibility for the creation of new social relations and to take role in leading the state socialist policy. The Museum of the Revolution established a system of documentation based on the experience of the British Museum. Following his research in London, museum advisor Slavko Šakota was able to implement the same processing methods, definition of a museum object file, and cataloging of documents in the MR. The exhibits were processed and cataloged by date, theme, subject and author. Four museum departments were formed to study the four historical periods: 1) the labor movement from 1870 to 1919, which also dealt with the Balkan wars, the First World War and the establishment of Yugoslavia; 2) the inter-war period from 1919 to 1941, with dominant topics of history of the Communist Party, political imprisonment, student demonstrations, and the Spanish civil War; 3) the Second World War in Yugoslavia; and 4) post-war reconstruction and building, and socio-political situation in socialist Yugoslavia. The Museum of the Revolution based its work on modern museological principles, with the aim of matching the presentation mode with content. 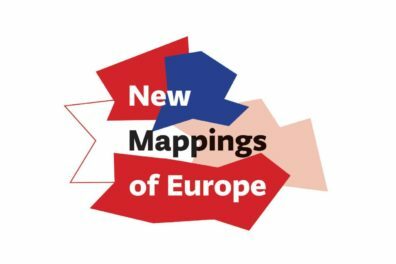 How to reconcile traditionalism and inertia of a museum as a historical institution with modernity and consistency of the revolution, with its musealization? How to muzealize the process? Curators introduced new media and presentation methods in exhibitions, primarily visual, which suited the perception of a modern man. There were films projections, sound installations, reconstructions, automatic carousel projections and large format photographs. “All these activities have to be directed to introducing viewers, especially young people, to history in a special way, giving them the opportunity to see history, to witness themselves materially in its existence and to experience it emotionally.”8 Due to the lack of space, at the beginning of its work the Museum of the Revolution used other places for exhibiting (Military Museum, building of the Federal Executive Council, Belgrade Youth Center; the first large permanent exhibition was held in Sremska Mitrovica by the name Imprisonment – The School for Revolutionaries), while the offices were at Terazije Street and Mihailo Avramović Street in Dedinje. In 1968, the Museum Council proposed that, within the celebration of the50th anniversary of the League of Communists of Yugoslavia, an exhibition 50 years of the Party should be organized in the building of the Agrarian Bank on the Square of Marx and Engels (today Nikola Pašić Square). It was supposed to be an interim solution and to enable building of the Museum in stages, in accordance with the financial influx. Over time, this exhibition became a permanent display of the Museum, upgraded and supplemented until 1998, when it was closed for visits and dismantled. Although neither the May 25 Museum, as one of few purposely built museums, nor the MC had a problem with space, various modifications of the complex in Dedinje affected the movement and storing of collections. A few years before Tito’s death spatial expansion and museological improvement of the location was planned with the idea of its future as a historical-memorial complex. 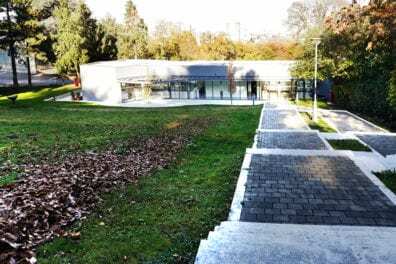 The Memorial Center “Josip Broz Tito” was founded in 1982, in accordance with legal regulation that proclaimed as its main mission the keeping of memory of Josip Broz Tito. 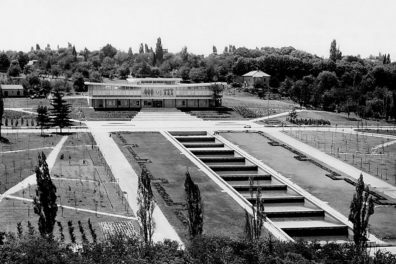 Memorial complex, which was created at the place where Tito lived in Belgrade, included 10 buildings (the Gatehouse, May 25 Museum, the Old Museum, the House of Flowers, the Memorial Collection, the Hunting Lodge, the Billiard House, the Residency, Museum “4th of July 1941”, restaurant “Mladost”) along with the Sculpture Park, which were all open for visitors. The Center also managed Tito’s birth house in Kumrovec, and later the island Vanga in Brioni archipelago. After Tito’s death and shortly before the official opening of the Memorial Center, all gifts and other objects that were in other buildings of the complex at the time were listed. After the establishment of the Memorial Center, in addition to the already existing collections of the May 25 Museum, new collections were outlined and the processing of objects begun. To date, the unit from the Memorial Center is distinguishable within the Museum of Yugoslavia,9 full of extremes, of chronological and semantic cross-sections “from drawings of preschoolers [sic] to a stone from the Moon, from over four millennia old samples of the inventory of Egyptian pyramids to Picasso’s prints (…)”.10 Also, a complex documentation was passed down to the Museum of Yugoslav History, reflecting all institutional changes and the work of the May 25 Museum, as well as the work of the Memorial Center later on. Objects in this kind of semantically distinct and acquired context of “a ruler’s collection” set a challenge before the curators and researchers, particularly in reading other layers of object’s meaning, which are at risk to remain buried under the label of “gifts to the president”. One part of the public still identifies the Museum complex with the initial purpose of the Memorial Center, reducing its function only to the collection of gifts that Tito received or the House of Flowers where he is buried. Along with the struggle for innovative museological views in accordance with its mission, the fact remains that the Museum of Yugoslavia, among other things, keeps the memory of Josip Broz Tito and his work, and it will remain part of the heritage it communicates. The vision of the Museum of Yugoslavia’s work includes safeguarding the two funds and their documentations, histories as well as memories of employees; dealing with topics related to the Kingdom of Yugoslavia and the socialist Yugoslavia as well as cultivating the memorial character of parts of the complex. Turbulent and layered histories of these units can be deciphered from the documentation, museum objects’ files, exhibition catalogs and documents. Connecting not only the two funds but these two institutions in 1996, which differed in nature, mission, work, documentation and personnel, into a new institution with a new mission of musealising Yugoslavia, was a political decision, but also a challenge for their employees in defining and building the Yugoslav heritage and in challenging the deep-rooted opinions and prejudices about it. ¹ In 1992, the first President of the Federal Republic of Yugoslavia, Dobrica Ćosić, questioned the fate of the palaces, the Memorial Center and the Museum of the Revolution of Yugoslav Nations and Ethnic Minorities. The Museum of Yugoslav History was founded in 1996 by the decree of the Government of the Federal Republic of Yugoslavia in the scope of federal authorities. In 1997, Yugoslav President Slobodan Milošević moved in the residence in 15 Uzička Street that was a part of the MC. At that point, a wall was already built that divided and undermined the integrity of the complex and reduced the Museum of Yugoslav History to four facilities (May 25 Museum, the House of Flowers, the Old Museum, the building in Botićeva Street N/N), with the possibility of using a part of the building of the Memorial Collection, which was administered by the Government, and the building of SAČ (Special Vehicle Troop), which was a part of the Royal Complex. See: Panić, A., Jugoslovensko kulturno nasleđe: simboli, komemoracija i kontekst kroz slučaj Muzeja istorije Jugoslavije, 2 at: https://goo.gl/2kqRvF (accessed on 27/02/2017). ² More on the history of this institution: Erceg Sarajčić, G. (1990), Memorijalni centar „Josip Broz Tito“, nastanak i perspektive, MSc thesis, University of Zagreb, Faculty of Organizations and Informatics, Varaždin, group od authors (1991) Memorijalni centar „Josip Broz Tito“ (ed. Bugarčić, R., Ćirković, B., Filipović, D., Grković, O., Tomašević, N.), Belgrade. 3 In the republics of the former Yugoslavia, funds of the Museum of the Revolution had been mainly connected with the museums of history or reorganized into museums of (more recent) history. Today’s Croatian History Museum was created by merging the Museum of Croatian History with the Museum of the Revolution of Croatian People (1991); the Museum of Revolution in B&H has grown into the History Museum of Bosnia and Hercegovina (1993); and the Museum of Contemporary History of Slovenia took over the funds of the Museum of the National Revolution of Slovenia (1994). 4 Dimić, Lj. (1988), Agitprop kultura. Atigpropovska faza kulturne politike u Srbiji 1945-1952, Belgrade, Krivošejev, V. (2011), Muzejska politika u Srbiji, nastajanje, kriza i novi početak, Kultura, 130, 291–317, Belgrade. 7 More about the history of the institution: Kastratović, V. (2008) Nastajanje i nestajanje jednog muzeja, Proceedings of the assembly The Eighth Conference of the International Association of Museums of History, Muzeji kao mesto pomirenja, Belgrade. 8 AY, the Museum of the Revolution of Yugoslav Nations and Ethnic Minorities (477), Ф-11. Work program for 1969, 18. In the Museum the Red Theater worked for several years in which the actors of Dadov and the Association of Dramatic Artists of Serbia played by texts awarded in the competition for short form with themes from the National Liberation Struggle. 9 PIn addition to the Relay of Youth batons, it consists of the objects of fine and applied arts, children’s and amateur artefacts, archeology, ethnology, numismatics, philately, mineralogy, phonography, techniques, weapons, photo albums, as well as the unit of objects and documents that is directly related to documenting the social and political (public) life of Josip Broz Tito. Among them are the Photographic Archive of Josip Broz Tito, uniforms, medals and personal items, then the Archive of Josip Broz Tito, the library, cinema material. Since 1983, a part of the Memorial Center was also the Museum “4th of July 1941“, which has since 1950 been in the jurisdiction of the Museum of the City of Belgrade. 11More on the project: Tekstovi, nacrti, fotografije projekta Muzeja revolucije naroda i narodnosti Jugoslavije, catalogue (MR), Belgrade (without year).